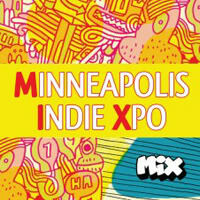 Below is the scoop on the wonderful MIX festival I will be attending this weekend. If you are around the Twin Cities, I hope to see you there! And don’t forget about the awesome SCOTT PILGRIM screening! And don’t forget about the awesome pre-party! And don’t forget about the awesome after party! You’ll never forget how great the inaugural MIX was if you attend any and all of these events!!! This entry was posted in Miscellanea by STWALLSKULL. Bookmark the permalink.